Peanut Allergies and Airlines have been all the discussion rage recently. As a flight attendant with Delta Air Lines for 20+ years, and having a son who is ANA to ALL nuts, I think my perspective is fairly educated. Let me add that my son is not allergic to the dust, but by ingestion only. How serious is this 'peanut allergy'? LIFE THREATENING. Delta Air Lines Peanut Policy from S.A.F.E. He was accidentally exposed at age 2 to peanut butter. His symptoms included labored breathing, coughing, drowsiness, and vomiting followed by hives from head to toes. All of this in about 20 minutes. Yes, he was administered an EPI pen by me. After more epinephrine, oxygen and lots of doctors and nurses helping in the ER, we ended up spending the night at Primary Children's Hospital in Salt Lake City, where were living at the time. The next occasion, if there is one, the reaction will probably be much faster and it could be deadly. I take living with nut allergies very seriously. Being in the airline industry, my kids have been flying since they were 3 months old. We LOVE it. We always have our benadryl and multiple epipens on hand. We wipe down the traytable area and carry our own snacks - and LOTS of them. I'm too aware of the possibilities of reroutes or delays. My main point today is that I want people to know what Delta Air Lines Peanut Allergy policy is, where to find it, and to tell you all to print up and carry a copy with you whenever you fly with Delta. Yes, the employees SHOULD know the policy. Unfortunately, not everyone does. The following can be found on the following page of Delta Air Lines Peanut Allergy Policy. Effective on flights operating June 1, 2012 and beyond, when you notify us that you have a peanut allergy, we’ll refrain from serving peanuts and peanut products onboard your flight. We'll also advise cabin service to board additional non-peanut snacks, which will allow our flight attendants to serve these snack items to everyone within this area. Gate agents will be notified in case you'd like to pre-board and cleanse the immediate seating area. We'll do everything we can, but unfortunately we still can't guarantee that the flight will be completely peanut-free. As a flight attendant myself, please be patient with the flight attendants if they forget to make the announcement. Especially during summer travel, when we are helping hundreds of people daily, we can forget about YOUR particular needs. I understand and live in your scary world - NOT everyone else does. A kindly reminder works wonders. And remember to be accountable for your needs too. Bring your benadryl, epipens and wipes to clean everything down. And remember, the airlines can ONLY do so much. They can announce a PEANUT-FREE flight, but they can't stop the passengers from bringing on their favorite treats and eating them too. Be prepared, be educated and be prepared to have an uneventful flight. And if you have a dairy, egg and/or nut allergy you can enjoy their awesome Signature Biscoff Cookies! We manage all 3 allergies, and look forward to enjoying these treats. Happy Travels and Safe Flying to you all! Thank you for this! 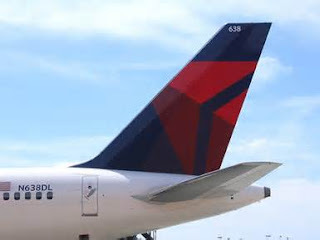 It's refreshing to see Delta's efforts to create a safer environment and care for their customers. I wish Delta offered more flights from Newark Airport! We are often forced to choose United which has no policy to date, making airline travel always a risk. On our last 2 flights, there was a plentiful supply of "thai wrap sandwiches", nut snacks for purchase and the flight attendant's individual discretion to make surrounding seat areas safe. Thank you for this post. We have two children with nut allergies and are flying this Christmas with Delta. Bravo to Delta for leading the way to make traveling safe for all those who live with nut allergies.